A French priest has recently gained popularity on the internet for the wrong reasons. 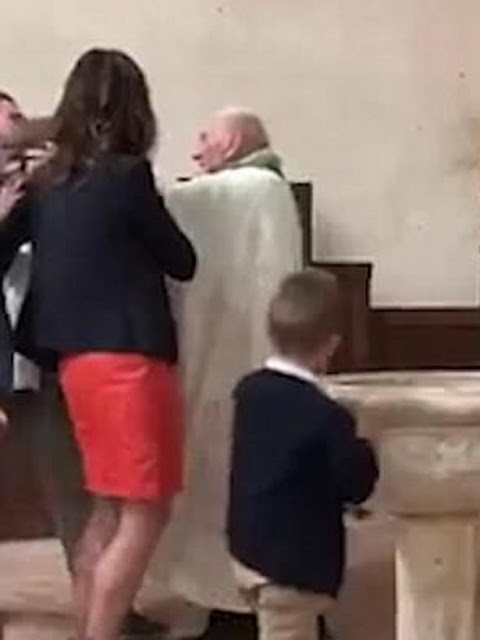 A video recently surfaced of the priest slapping a child who could not stop crying during his baptism. In the video, it is seen that the boy was carried by his mother, with his father and another woman nearby. The priest appears to be comforting the child at first, but can be seen that he got irritated and slapped the chilled on the cheek, after which the child started crying harder. 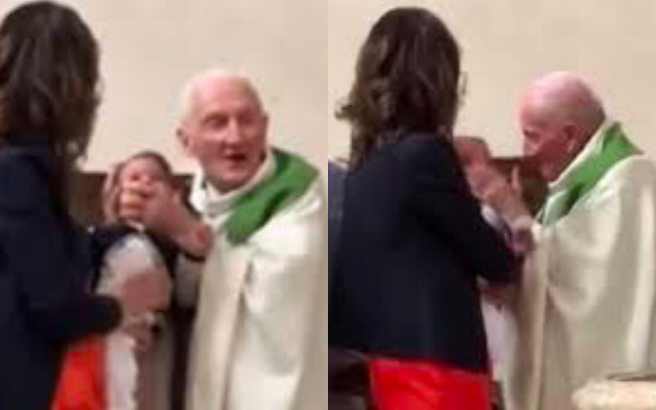 Instead of stopping or pulling away, the priest continued to hold on to the child even thought the mother started moving away from the priest. 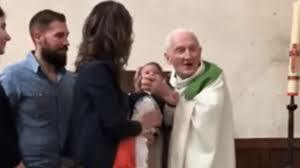 It got to the point where the father of the child had to forcibly remove his child from the priest’s grasp. The priest was identified to be Father Jacques Lacroix, 89 years old, from France. 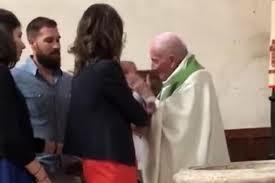 “Since June 21, a video circulates in the press and social networks on which we can see a priest (89 years), celebrate the baptism of a child in Seine-et-Marne,” the statement read. Lacroix was suspended from all baptism and marriage celebrations and he cannot intervene on the Collegiate Church of Champeaux. Lacroix also can no longer celebrate masses, unless he is requested by the parish priest. “On Friday, June 22, Bishop Nahmias, Bishop of Meaux, took provisional measures to ensure that the priest was suspended from all baptism and marriage celebrations,” the statement continued. “The child was bawling and I needed to turn his head so I could pour the water. I was saying ‘be quiet’ but he wouldn’t calm down,” Lacroix said. Netizens, however, are outraged as the video went viral.